​Michy Batshuayi is likely to be out for the remainder of the season, but both ​Borussia Dortmund and the player confirmed on Monday that he could be fit to return in time for the World Cup. 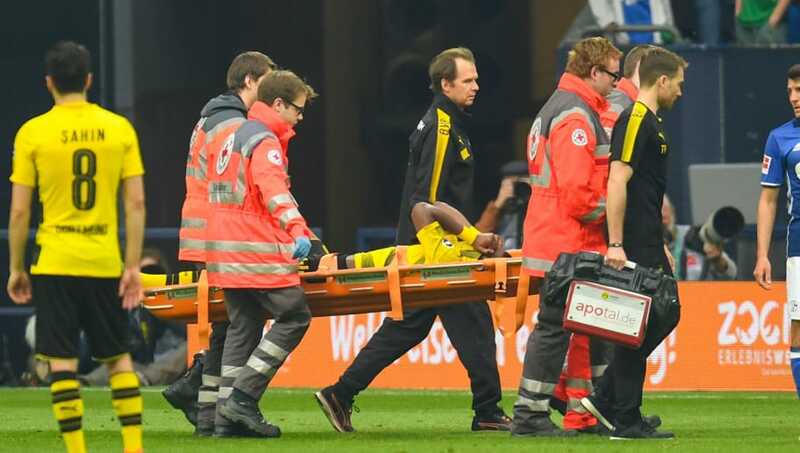 The 24-year-old was stretchered off during BVB's 2-0 derby defeat to Schalke on Sunday afternoon, with Yevhen Konoplyanka and Naldo putting the hosts ahead before former ​Tottenham midfielder Benjamin Stambouli's challenge on the ​Chelsea loanee during injury time. ​Initial reports suggested that the Belgian frontman was expected to miss out on his nation's trip to Russia for the World Cup this summer, but the North Rhine-Westphalia-based club announced via their ​official Twitter page that although his domestic campaign is over, the striker's international dream may not be. "Batshuayi sustained an ankle injury in the derby at ​Schalke and will probably be out of action for the remainder of the season", the tweet read. "A commitment for the Belgian national team at the World Cup in Russia is a possibility. Get well soon, Michy!" Batshuayi, himself, then followed up by confirming that, for the time being, his spell at the Signal Iduna Park was at an end, and went on to thank BVB for the opportunity they had presented him since January. "Well its not good news for now, my season is probably over, and i wont be able to pay BVB back for their confidence", the Belgium international posted via his ​official Twitter account. "Thank you all the amazing amount of love I received since yesterday. Wishing my teammates the best for the final days. See you soon", which was followed by a heart emoji.